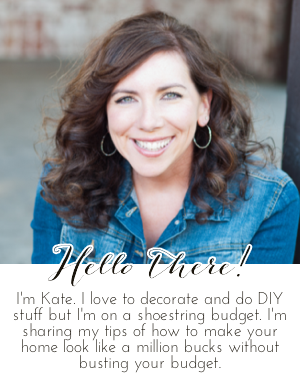 Chic on a Shoestring Decorating: Flaunt it Friday 203! Do you ever have one of those weeks where you are confused every day by what day it actually is? It went much faster than expected. So here we are, back at Flaunt it Friday already. Hope next week runs like clockwork, Kate! Thanks for hosting and have a wonderful weekend! Thank you for Flaunt It Friday Kate. Love joining in. Every day seems to fly past. happy Friday! thanks for hosting. Hi Kate! Thanks for hosting Flaunt it Friday! Thanks for hosting the party. I'm a new follower! Thank you for hosting this fun party!! I"m searching for your linky party button...I can't find it! I want to put it on my blog. Thanks for hosting!